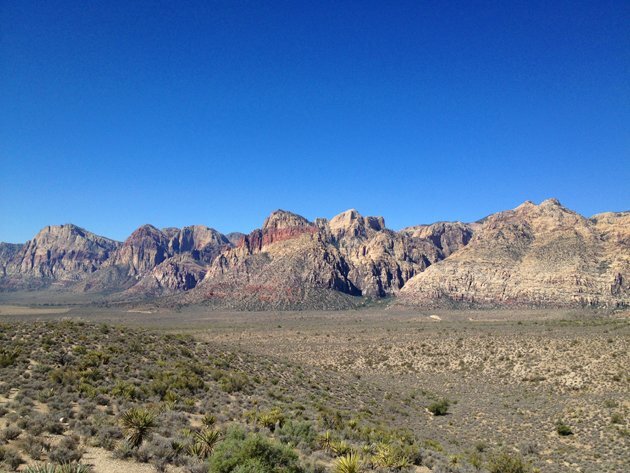 On my western sojourn back in June we made a half-day visit to the absolutely gorgeous Red Rock Canyon National Conservation Area near Las Vegas. Because we had four children with us we chose to do the thirteen-mile loop road, stopping several times to take in the views and once, at the Willow Springs Picnic Area, to take a short hike through the desert. Though our visit was all-too-quick it was memorable and enjoyable and should I ever find myself in Las Vegas again I will definitely make it a point to stop back at Red Rock and explore it more thoroughly. 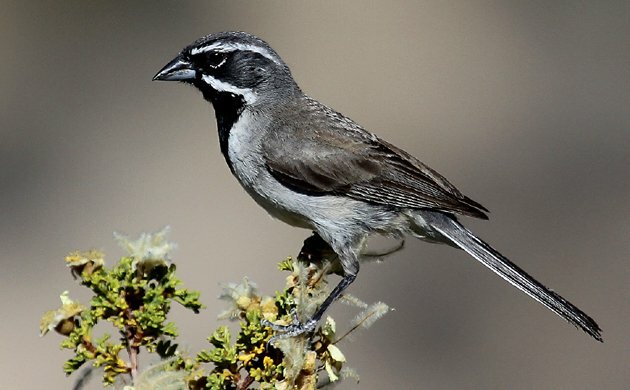 One element of Red Rock Canyon that I probably don’t need to see much better is the Black-throated Sparrow. One incredibly cooperative and confiding bird sang from a nearby bush and then flew to the rock I was photographing it from and briefly foraged there while I hustled to back up so I could get it in focus. It then flew back to its original perch and just sat for awhile before continuing on its way. Amphispiza bilineata is a species of the desert and it is found throughout proper habitat in the southwestern United States and northern Mexico. 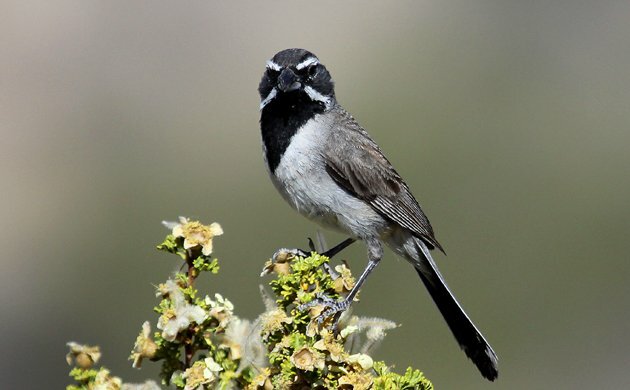 It is an attractive and kind of awe-inspiring little bird, as most creatures that can survive in harsh conditions are (at least to me). 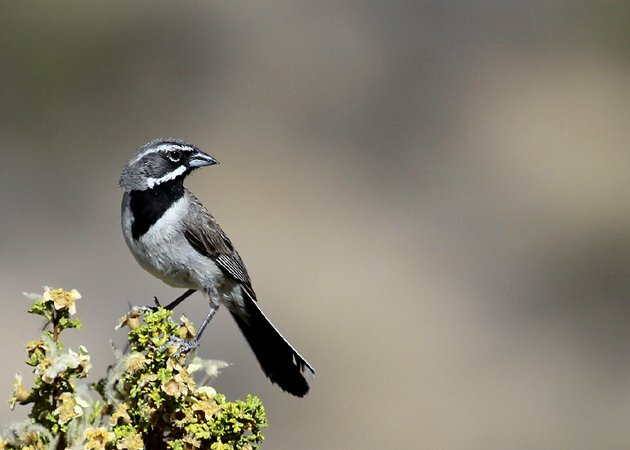 The bird in these pictures was the first of its species I had seen in six years and it more than made up for lost time. Enjoy! Click the image above for a bigger version. 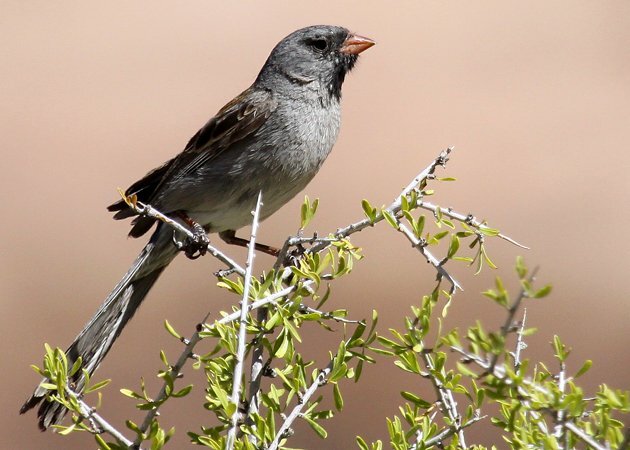 For comparison purposes, here is a shot of a Black-chinned Sparrow, another desert sparrow found at Red Rock Canyon. 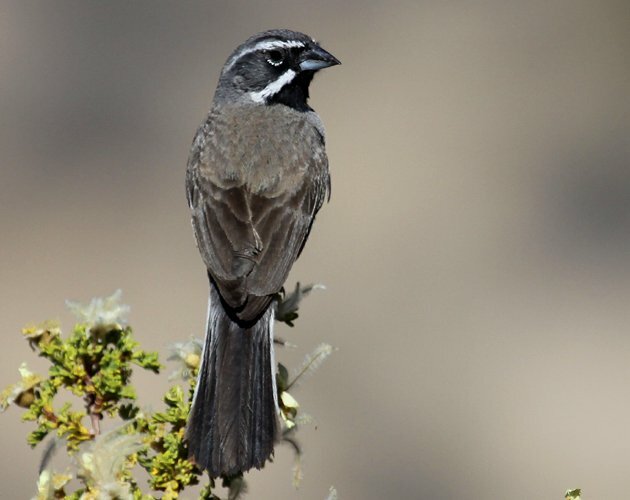 I hope you liked these shots of Black-throated Sparrows. If you want to see more great images of birds check out our big and growing page of photo galleries, 10,000 Clicks! Beautiful photos, Corey. Still waiting to see one here in NJ…. 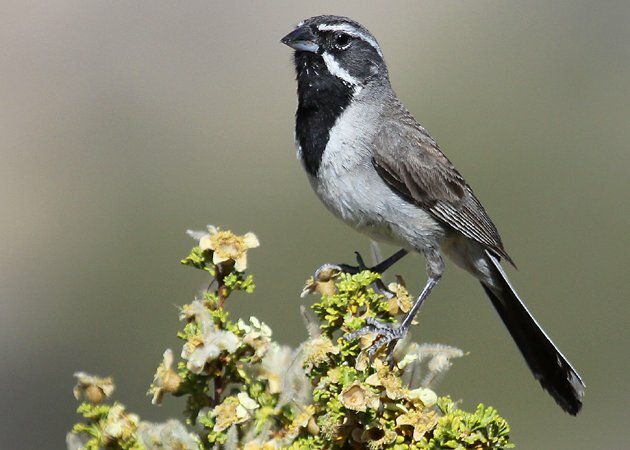 My favorite sparrow! 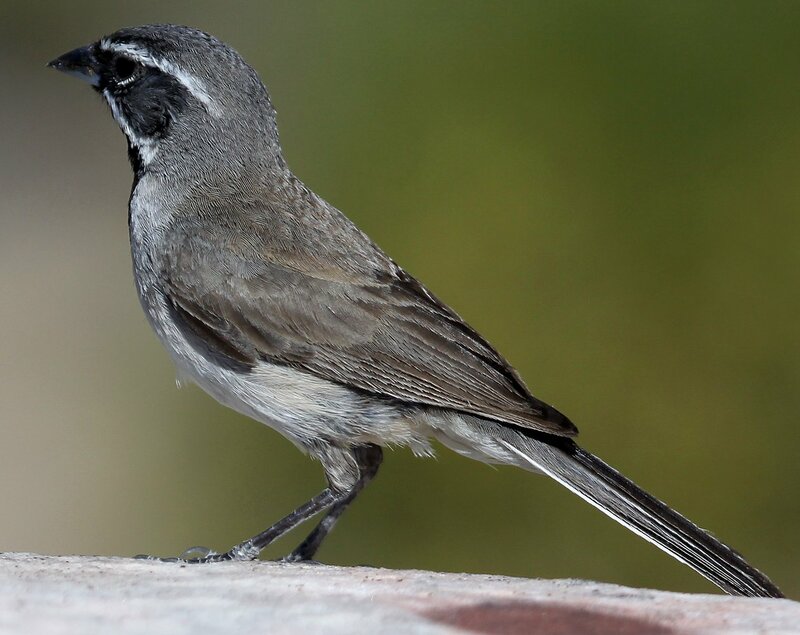 I see flocks of these in the desert every time I visit my folks in AZ and I never get tired of them. So handsome. Comparison purposes???? More like gloating purposes! I’ve never had BCSP in my face like that.